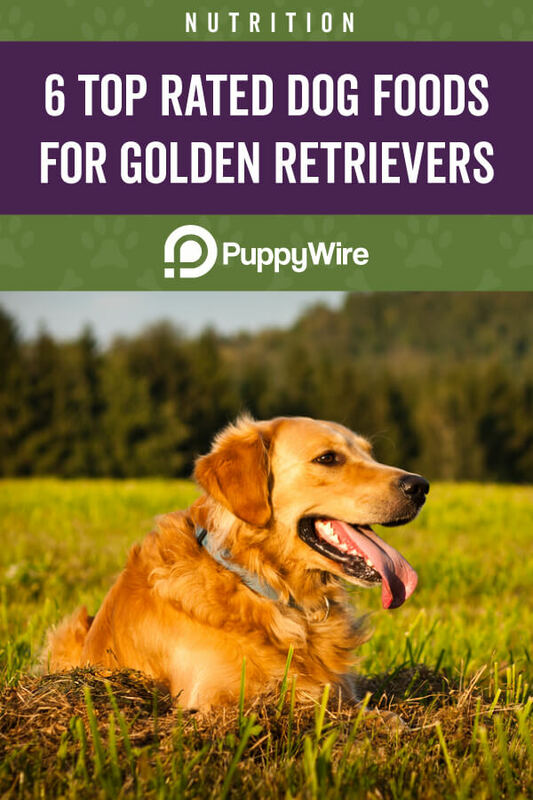 Golden Retrievers are one of the most popular dog breeds today due to their friendly natures and lovable personalities, and this is what also makes them great companion dogs for small families with small children. You want to ensure that your dog stays happy and healthy throughout their lives, and feeding them the best dog food for Golden Retriever can help to accomplish this goal. 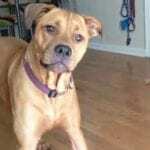 However, it can be intimidating when you're trying to find the best dog food for this breed because there are dozens and dozens of good options available to choose from. 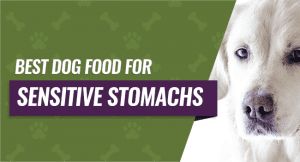 We've rounded up our picks for the top six best dog foods along with some helpful information that can give you the confidence to pick out a high-quality dog food for your furry friend. How many calories you feed your Golden Retriever each day to keep and maintain a healthy weight will depend on their age and activity levels. If your dog is relatively active, you'll want to feed them between 1,353 and 1,740 calories every day. For older dogs or dogs who have trouble getting around, it's safe to cut back the calorie count a little, so they don't gain weight due to their inactivity. You want to feed them between 989 and 1,272 calories every day, and this number will fluctuate with your dog's activity levels. Of course, if you notice that your Golden Retriever is losing or gaining weight, you'll want to adjust their caloric intake accordingly, so they stay within their optimal weight range. The healthier weight levels that your dog maintains throughout their lives, the healthier their joints and bones will be as they age. Not all dog breeds have the same nutritional needs, and this can add complex layers when you're trying to find out which food will work best for your dog. However, these dietary requirements can help you pick out the best dog food for Golden Retrievers. The Golden Retriever is a very active dog that needs high levels of protein from high-quality sources. Ideally, you want to feed your adult Golden Retriever a dog food that has between 18 and 25 percent protein. Puppies or dogs that are extremely active can have up to 28 percent protein content in their food because they'll use it to strengthen their muscles and keep them in top performance all year round. You will want to taper this off as your dog ages and give them less because it can cause your dog to bulk up, and Golden Retrievers are prone to hip problems, and excess weight can make this worse. The protein source should be one of the top three items on the ingredient list, and it should come from real meat sources like lamb, salmon, beef or chicken. If you see a lot of meat by-products, skip it because this is filler. Not only do healthy fats give your dog's food a good flavor and texture, but they also contain Omega-3 and Omega-6 fatty acids. These acids can come from fish oil in your dog's food, and they're extremely important because your dog's body can't produce these fatty acids on their own. They have to get their fatty acids through their diet, and these fatty acids provide several health benefits including reducing inflammation, making your dog's skin and coat healthy, and providing the immune system with needed support. Ideally, your dog's food should contain around five percent in healthy fats for an adult dog and eight percent healthy fats for a Golden Retriever puppy. Complex carbohydrates include ingredients like apples, carrots, and sweet potatoes, and these ingredients belong in the top five nutrients on your dog food's ingredient list. These carbohydrates give your dog's food texture, and they're broken down by your dog's body to form energy. It can also cause weight gain, and this is why you should look for a dog food with around 25 percent carbohydrates or lower, and make sure that they come from good sources as we touched on above. You do want to avoid by-product meal and a lot of excess sugar because these are empty calories that can cause weight gain. A good amount of fiber in your dog's food is also very important because fiber is one of the main things that helps to regulate your dog's digestive system. It's usually listed as crude fiber on the ingredient list, and you want to see around 2.5 to 4.5 percent crude fiber in your dog's food. Antioxidants, vitamins, and minerals are naturally found in a variety of foods like blueberries, and these ingredients help to boost your dog's immune system and repair any cell damage that they may have. They also provide support for your dog's digestive system and their skeletal system as they age. Vitamins and minerals can help to round out your dog's food and ensure that they get a healthy and balanced diet each time that they eat. You want to see several fruits and vegetables listed on your dog food's ingredient label because these vitamins and minerals support eye health, immune health, and skin health. Now that you know what to look for, we'll review our roundup of the top six dog foods that you can buy for your Golden Retriever. This breed-specific formula comes in two different sizes, and it's designed for adult Golden Retrievers over 15 months old. It contains high levels of DHA, EPA, and taurine to support a healthy cardiac system along with glucosamine for healthy bones and joints. You'll also find good levels of Omega-3 and Omega-6 fatty acids to support your dog's healthy skin and coat, and this is extremely important as well because this breed has a very dense coat with sensitive skin. It features slightly larger kibble that is easier for your dog to pick up and eat. Pet parents who bought this dog food liked that it had a formula that was specially designed for this breed and that it supported good heart health, immune function, skin, and coat. They didn't like that the first few ingredients included by-product meal or that it could be too harsh for sensitive stomachs. This senior dog food comes in three different sizes and it has a healthy egg, chicken and oatmeal formula that is gentle on your senior dog's stomach. The formula contains levels of glucosamine and chondroitin that help to reduce inflammation and support healthy joint growth and maintenance. This formula contains an excellent mix of antioxidants, vitamins, minerals, and superfoods to support all of your dog's systems including peas, eggs, carrots, coconut, spinach, kale, papaya, blueberries, chia seeds, pumpkin, and much more. It's also free of artificial dyes, preservatives, and flavoring. Pet parents who bought this senior food liked that it was packed full of 20 different superfoods and that it worked both inside and outside of your dog. They didn't like that it takes a while to transition your dog to this food, and they can get loose stools during this time. This dog food comes in nine different flavor profiles and six different sizes so you can quickly and easily customize your order to suit your dog's needs. The first ingredient in this formula is the protein source for the specific flavor including venison, salmon, or wide boar. It comes packed with vitamins, minerals, nutrient-rich kibble in smaller pieces, essential fatty acids, and natural DHA to support your growing puppy and their nutritional needs. There are no grains, corn, soy, wheat, artificial flavoring, colors, or preservatives, so you get a healthy diet choice for your puppy. Pet parents who purchased this puppy food liked that it came with a very healthy and beneficial formula with probiotics and fiber to keep their puppy's digestive system regular. They didn't like that this food had a slightly greasy feel and a strong smell when they first opened the bag. These grain-free variety packs of wet dog food are designed to appeal to even the pickiest Goldens by giving your dog a good variety of flavors and textures. This is designed to be a healthy option with real meat as the first ingredient and no corn, wheat, or soy. 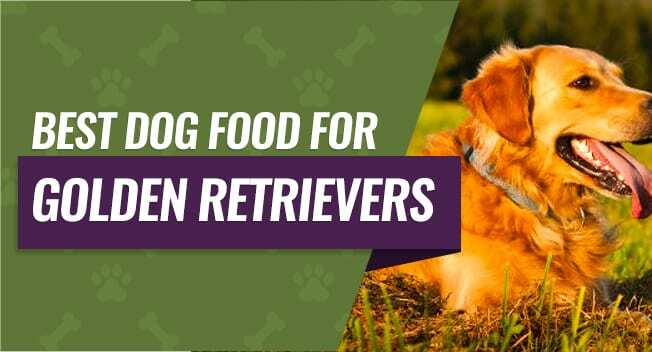 This food comes in two different sizes with three different flavor combinations, and they're packed full of nutrients and vitamins to keep your Golden Retriever healthy and full. It contains no fillers or by-products as well as no artificial preservatives and no artificial flavoring. 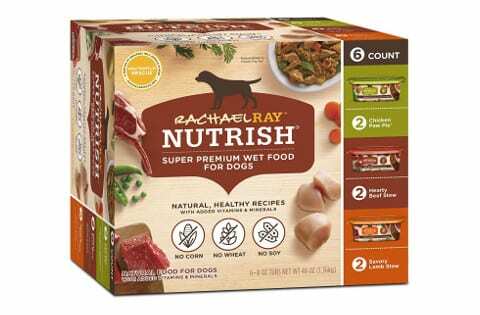 Pet parents who bought this food liked that you get a lot of variety in one case of food to keep your dogs happy and interested in the food when they eat it. They didn't like that the food can be very runny and that it is slightly more expensive for the amount you get. This dry dog food formula is made to be reduced fat to help your dog safely lose weight and maintain their weight loss after they lose it. It comes in four different sizes, and it's made with real chicken, pork, and fish as the lean proteins. This dog food is made in the United States, and it's held to very high-quality standards, so it's healthier for your dog to eat. The formula is grain-free, and it also contains no fillers, corn, wheat, soy, or by-products so it's a healthier choice for your dog and it's better for your dog's skin. 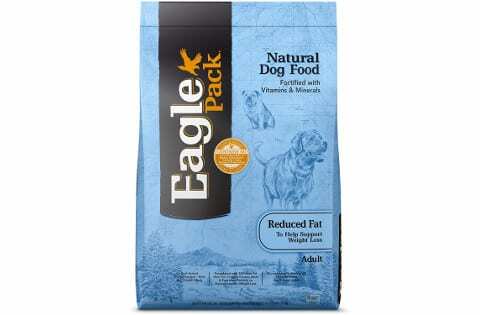 Pet parents who bought this reduced fat dog food liked that it could help their dogs safely lose weight and that it didn't contain grains or common allergens. They didn't like that this food only comes in one reduced fat flavor or that it takes a while to transition their dog over to it. This dog food comes in a healthy and protein-rich formula with lean salmon as the first ingredient listed on the package. It contains a powerful blend of vitamins, nutrients, ingredients, and antioxidants to help support your dog's healthy immune system and regular digestive tract. This dog food is gentle on your dog's system, and it's designed to support a healthy immune system, heart health, skin and coat health, joint health, and more. The medium-sized crunchy kibble pieces are easy for your dog to eat and digest as well. 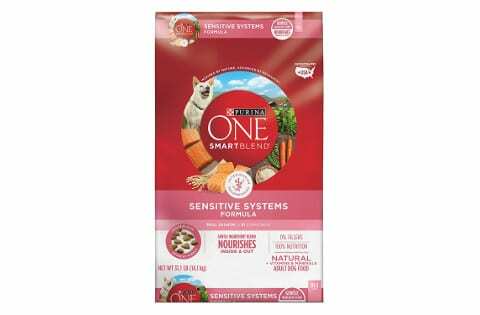 Pet parents who bought this food liked that it was specially formulated to be easy to digest and that it doesn't contain common allergens like soy, corn, or by-product meal. They didn't like that this sensitive stomach dog food could cause problems until your dog gets used to eating it. Our pick for the best dog food for Golden Retriever is Diamond Naturals Real Meat Recipe Natural Dry Dog Food. This formula is packed with a gentle buy powerful formula that contains chicken, oatmeal, and egg along with over 20 different superfoods and antioxidants. It supports your dog's cardiovascular, immune, and skeletal systems along with their skin and coat to keep them happy and healthy throughout their lives. It's also easy to digest, and it comes with a very light scent.